Pictured at the launch of the Creganna Careers Recruitment App are: Bernadette Kiely, Senior Director, Human Resources, TE Medical and the Talent Acquisition Team (L to R): Lorraine Mearns, Nicola Walsh and Deborah Counihan. Innovation is at the heart of Creganna Medical - new ideas and new improved ways of doing things is part of everyday life. 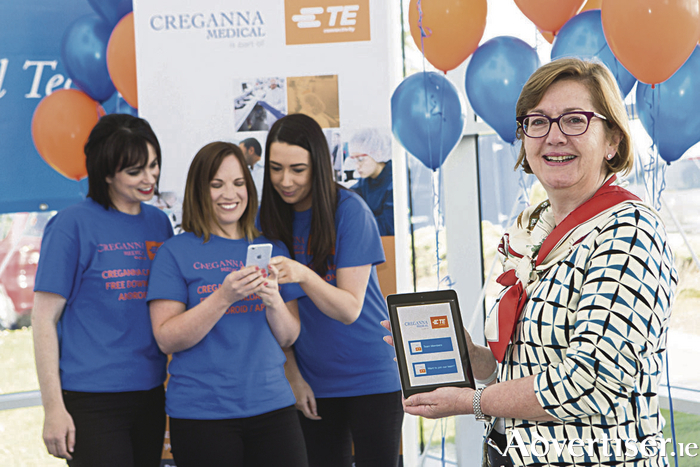 And so, it came as no surprise when the Talent Acquisition Team launched their innovative recruitment app “Creganna Careers”, a first in the medical device sector. The free recruitment app is available in Android and Apple stores and candidates can view and apply for open positions directly from their phones and tablets. Speaking at the launch, Bernadette Kiely, Senior Director, Human Resources, TE Medical, said “Our aim is to make it as easy as possible for our own employees and for potential employees to keep current with job opportunities available on our site here in Parkmore and to promote new career opportunities to ensure that we have the talent to drive the growth in support of our customers. Creganna Medical is ranked among the top three global companies in the medical device outsourcing industry. The company specialises in the design and manufacture of minimally invasive access and delivery devices, serving over 400 medical device customers across 30 countries. Creganna is now part of TE Connectivity, a global technology leader. TE Connectivity’s 7,000+ engineers partner with customers in over 150 countries across a wide range of industries.